After the sacking of Peter Reid as the coach of the Thailand national football team, the Thai Football Association has begun the hunt for Reid's replacement. 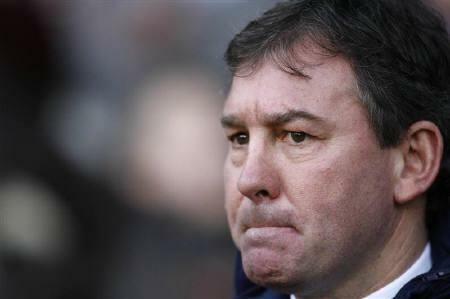 Thailand is reportedly in talks with former England captain and Manchester United legend Bryan Robson to take the helm of the Thailand national team. The Thai Football Association chief has revealed that the response from Robson's camp has been very positive. If he accepts the post, Robson's first task would be to prepare the Thailand team for the Asian Cup qualifier against Singapore in November. After the sacking of Peter Reid as the coach of the Thailand national football team, the Thai Football Association has begun the hunt for Reid's replacement. Thailand is reportedly in talks with former England captain and Manchester United legend Bryan Robson to take the helm of the Thailand national team. The Thai Football Association chief has revealed that the response from Robson's camp has been very positive. If he accepts the post, Robson's first task would be to prepare the Thailand team for the Asian Cup qualifier against Singapore in November.